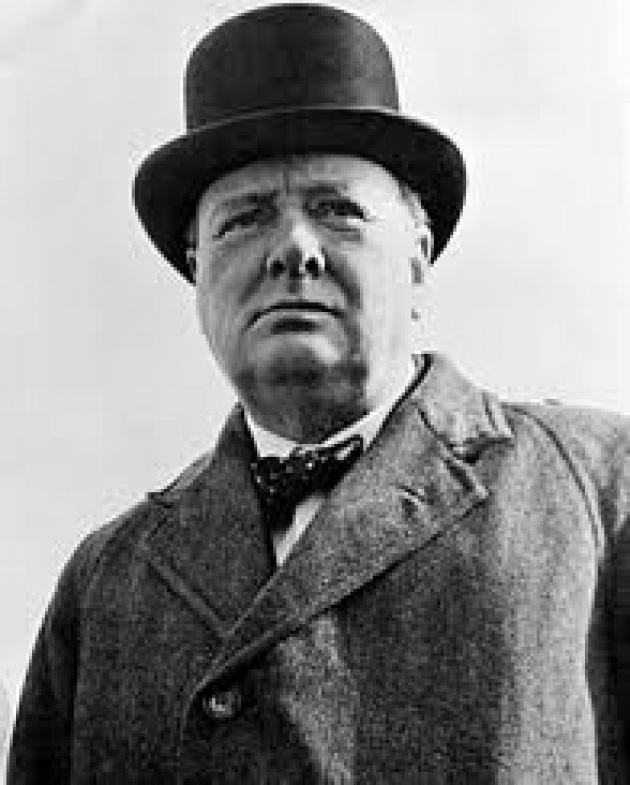 The Morgan Library at 36th Street and Madison Avenue in NYC is hosting a fabulous exhibition on the late Prime Minister of England Winston Churchill. Long overdue, this exhibit documents Churchill's life from 1874-1965... took my son and his friends recently and they loved it. Churchill was the Man! During the early years of WWII it was Winston Churchill who stood-up to Hitler, not his predeccessor Neville Chamberlain, who as we look back lacked the toughness to fight the evil dictator from Germany. Churchill was not only a tough individual, but a brillant writer and speaker. His thoughtful words carried the British people through the NAzi Air Strikes over london in 1940, and the Battle of Britain. France had fallen and Hitler was on his way to take England. If she too had fallen, it may have been a very different world than that of which we live-in today! But Churchill held everyone together. He was the leader of all the people. He got out there and stood side by side with his troops and civilains. Famous lines like "this will be our finest hour" in the face of adversity gave strength and hope to his people. The most interesting part of this exhibition follows his rise to power, WWII and his alliances with Roosevelt and Stalin, and his oh so eloquent speeches. There is a 22 minute film documentary that is well worth sitting-in on. There are even paintings that he did following the War, while on holiday in the South of France at Cap D'Antibes. He was a very good painter as well. If you haven't been to The Morgan it's also worth the trip. They have three Guttenberg Bibles, the earliest from 1452 is in perfect condition, the printing and illustrations and gold inlays are magnificent. These books came off the very first printing presses known to have published the Bible. The reside in the library of JP's library, and both JP Sr. and JP Jr.'s houses are spectacular examples of living life to the fullest in the Gilded Age. The Morgan is also free to the public Friday evenings from 7-9pm.